The time has finally come for our fellow Australians to enjoy Left 4 Dead 2 the way it was meant to be played. 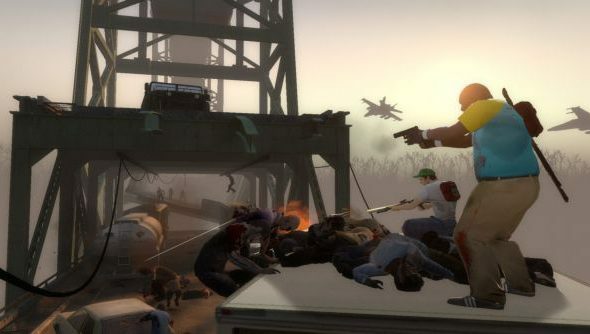 Following the 180 reclassification from the Australian Classification Board a couple of weeks ago, Left 4 Dead 2 is now classed as R18+ to suit its “high impact violence, blood and gore”. Now Valve have released a piece of DLC to the Australian Steam store to bring the game in line with everyone else in the apocalyptic world, and you can grab it right now. It goes without saying that this is only for folks who reside in Australia. Head over to the DLC page to download the files necessary. Once downloaded you just need to activate the “Left 4 Dead 2 – Uncensored” for it to work. Do note though, that once you do this you can’t go back to the edited version, but why would you, right? The good news is that your saved progress will still work, so you won’t need to unlock all those achievements again.